Exclusive Rates on all Avalon Waterways cruises! Call today to find out the special discounts that we have available. All Avalon Waterways reservations must be made over the phone with one of our travel experts. 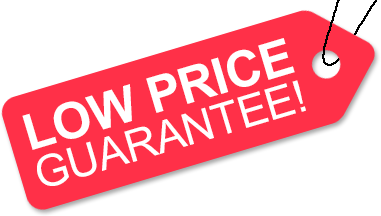 Don't forget about our "Low Price Guarantee," on all Avalon Waterways cruises! Call us toll free at 1-866-214-7447 for pricing and availability. ♦ Free Pre-Paid Gratuities for your cruise! Offer valid for new bookings made over the phone with us by December 31, 2019 on select 2019 Avalon Europe or Mekong river cruises only. Guests receive the standard prepaid cruise gratuities included for the full length of the cruise portion of the vacation. Combinable with other current promotions except Travel Agent Discounts and groups. Must mention promotion code TLNGRAT19. Offer reliant on space availability. Not applicable to custom tours. Discount will apply to individual members of groups adding a name and non-refundable per person deposit within the promo window. Not applicable on TBA space. Every effort has been made to produce this info accurately; we reserve the right to correct errors. This offer may be modified or withdrawn without prior notice. Additional restrictions may apply. We do not charge booking fees on any cruises! You're sure to enjoy an affordable Avalon Waterways cruise when booking with us! Our special offers on Avalon Waterways cruises may not be combinable. Certain restrictions apply to each offer. When it was created in 2004, the goal of Avalon Waterways was to provide luxurious river cruises on innovative, new ships, with spacious accommodations and affordable land packages that would perfectly compliment their cruise itineraries. They sure have done just that, as their young fleet has already won Avalon many prestigious awards. Among the innovations that they've brought to the river cruising world have been the introduction of floor-to-ceiling windows in staterooms, larger accommodations than the industry standard, and their Silent Drive System (SDS), which ensures that their passengers have the most quiet cruise experience possible. The quick success of Avalon Waterways was certainly helped along through the fact that they're part of the much acclaimed Globus family of brands. Globus, one of Avalon's sister companies, is one of the world's premier land tour operators. Those looking for a truly in-depth vacation, by both land and sea, should be happy to learn that many of Avalon Waterways' cruises can be booked in combination with a Globus (or Monograms, another sister company that specializes in independent travel) land package. Possible destinations that one can take an Avalon Waterways cruise are the historic rivers of Europe, Asia and South America, including the exotic waters of the Galapagos Islands. There are over 120 itineraries that you can choose from! Thanks to Avalon's relationship with Globus, they're able to offer inspired enrichment, through guided sightseeing tours (complete with headsets), daily port lectures and VIP access into key destinations. American Discount Cruises & Travel, an official Avalon Waterways Specialist, is proud to offer huge discounts on all Avalon Waterways cruises booked with us. Backed by our "Low Price Guarantee," and powered by our team of expert travel agents, we're sure to exceed your expectations when booking your next Avalon Waterways river cruise! Avalon Waterways takes pride in providing river cruises that take place on ships with an inspired design, featuring on board enhancements that include staterooms with deluxe woven carpeting, flowers, marble bathrooms, panoramic views and premium bedding. Avalon also offers inspired dining, with flexible and personalized meals that feature local cuisines of the areas being visited (prepared by top European chefs), using local ingredients and serving regional wines, beers and soft drinks. While on Avalon Waterways' Europe river cruises, a choice of complimentary wine, beer or soft drinks is included with dinner. In Europe and in the Galapagos Islands, coffee and tea are available free of charge throughout the day. On an Avalon China river cruise, sodas are included during lunch and dinner. Such included amenities adds to the already fabulous value that an Avalon river cruise offers. Although their ships and accommodations are quite elegant, there is a fairly casual dress code on a Avalon Waterways cruise. For instance, during dinner, casual attire such as open-neck shirts, slacks and dresses are just fine. However, coats and ties may be worn by guests that would like to do so, and there are typically a couple of dressy (but not formal) evenings during the cruise (such as the Captain's Welcome and Farewell Dinners). What's New for Avalon Waterways? Avalon Waterways has been continually adding new vessels to their ever-expanding young fleet of luxury river cruise ships. 2015 debuts included Avalon Tranquility II, Avalon Tapestry II, and Avalon Myanmar. This followed the 2014 debuts of Avalon Poetry II, Avalon Impression, Avalon Illumination, and Avalon Siem Reap. Two new vessels joined the Avalon Waterways fleet in 2013. Avalon Artistry II launched with the same elegance and tradition of her sister ship, Avalon Artistry. Avalon Expression also debuted during 2013. Both ships offer a nice variety of river cruise itineraries in Central Europe. A couple of sister ships to Avalon Panorama, Avalon Visionary and Avalon Vista are excepted to debut during the Spring of 2012 for Avalon Waterways. Both ships will offer cruises in the Rhine, Main and Danube Rivers. In 2011, Avalon Waterways debuted a truly innovative river cruise ship, Avalon Panorama. This magnificent vessel was a new class of ship, and was billed by Avalon as being the river cruise industry's first "Suite Ship" (as it has two full decks of suites). This ship features 64 newly designed Panorama Suites, each with 200-square feet (30% larger than the industry standard) of living space and a wall-to-wall panoramic window. When opened, this floor-to-ceiling window is be nearly 11' x 7', and transforms the entire suite into the industry's first Open-Air Balcony! Avalon Envision - NEW SHIP! • One of Avalon's latest "Suite Ships"
Avalon Imagery II - NEW SHIP! • Industry's first "Suite Ship"
Avalon Passion - NEW SHIP! • One of Avalon's "Suite Ships"
Avalon Saigon - NEW SHIP! Avalon Siem Reap - NEW SHIP! Avalon Tapestry II - NEW SHIP! • New addition to Avalon's "Suite Ships"
Avalon Tranquility II - NEW SHIP! Delfin III - NEW SHIP! Ganges Voyager - NEW SHIP! Click a price below to view the Avalon cruises available during that month in that destination.